1. 14 I know and am convinced by the Lord Jesus that there _____ unclean of itself; but to him who considers anything to be unclean, to him it is unclean. 2. 19 Therefore let us pursue the things which make for peace and the things by which one may _____ another. 3. 5...may the God of ____ grant you to be like-minded toward one another, according to Christ Jesus, 6 that you may with one mind and one mouth glorify the God and Father of our Lord Jesus Christ. 4. ...may the God of hope fill you with all joy and peace in ______, that you may abound in hope by the power of the Holy Spirit. 5. 3 Greet Priscilla and Aquila, my fellow workers in Christ Jesus, 4 who risked their own necks for my life, to whom not only I give thanks, but also all the churches of the Gentiles. 5 Likewise greet the church that is in _______. 6. I want you to be wise in what is good, and simple concerning evil. 20 And the God of peace will ____ under your feet shortly. 7. 25 Now to Him who is able to establish you according to my gospel and the preaching of Jesus Christ, according to the revelation of the mystery kept secret since the world began 26 but now made manifest, and by the prophetic Scriptures made known to all nations, according to the commandment of the everlasting God, for obedience to the ____- 27 to God, alone wise, be glory through Jesus Christ forever. Amen. 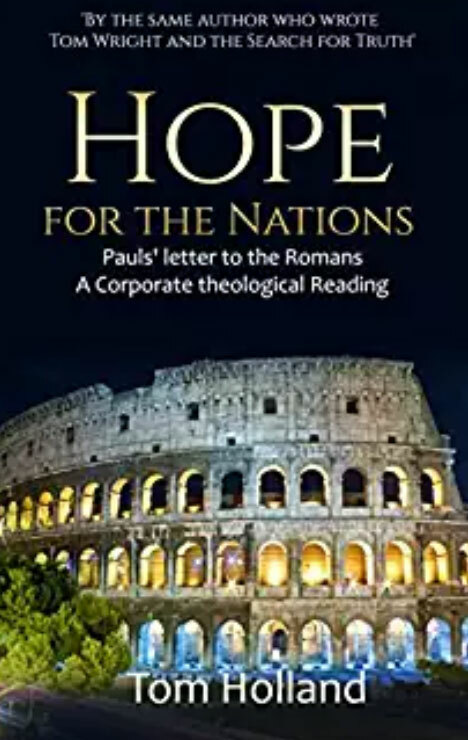 "Paul emphasizes that those who are mature Christians are to think of those Christians with weak consciences and be patient with them in order for them to grow in their faith before they can understand that they have Christian freedom."